“Oliebollen!” – Dutch traditional New Years’ Doughnuts – Champaign! Music! 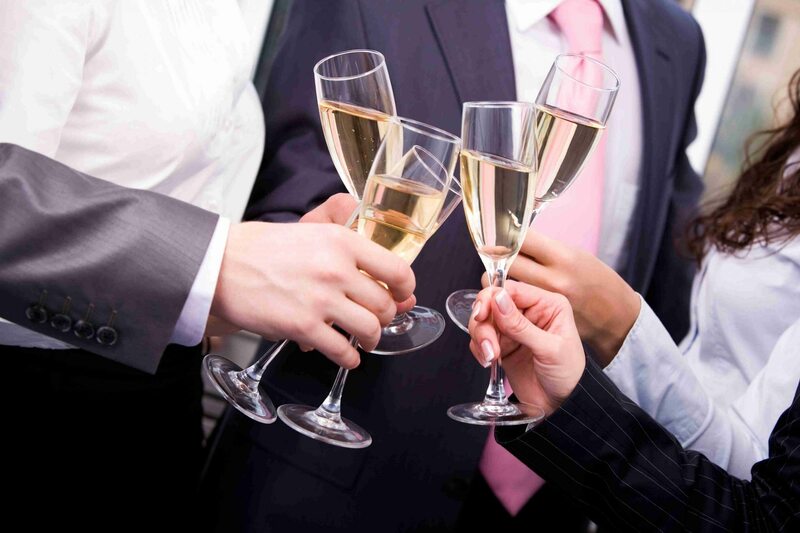 Everyone can image the elements that form part of a successful New Year’s Eve drinks party for your employees and business relations. But not every New Year’s Eve party is the same. When you take your chance with SKYFLY you will be assured of a sparkling New Year’s Eve drinks party, organized by professionals who have ample experience with business parties that really rock. The music, the atmosphere, the lighting, the decorations: together with you we create a total experience that is correct and fits in with your organization. With our exclusive DJ shows, we take care of a successful New Year’s Eve drinks party for you, your colleagues and your relations. Our DJs create a musical atmosphere that is part of festively heralding of the New Year. If desired, we bring live musicians for just that little bit of extra experience. SKYFLY has contacts with various experienced professionals in music and entertainment. What would you think of a saxophonist who plays along with the numbers the DJ plays? Or an attractive singing combo, welcoming your guests at the door with a song? The possibilities are countless. Lighting and decoration: the styling you choose– apart from the musical accompaniment – is also important to make your New Year’s Eve drinks party a success. The possibilities SKYFLY has available to turn the New Year’s Eve drinks party into a business party to be talked about are endless. Will you stick to the New Year’s atmosphere with pyrotechnics or fireworks? Or would you like something completely different? We will gladly explain to you what we can do.